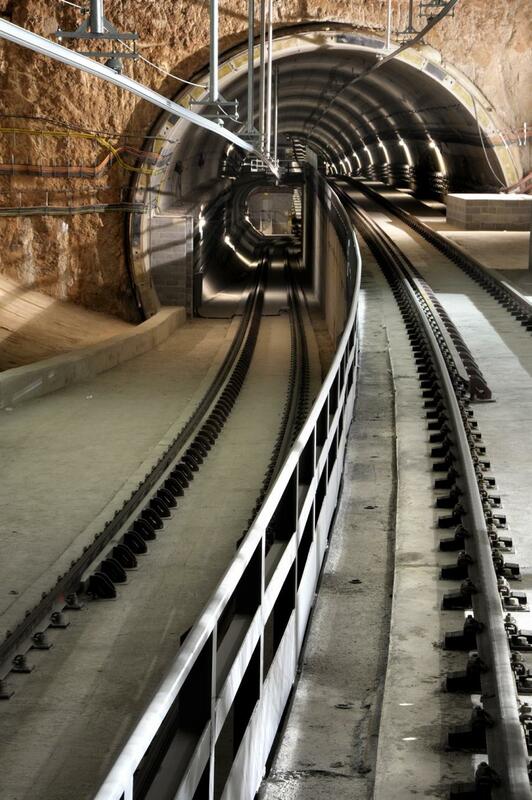 The tunnel is divided into two storeys and its construction undertaken using tunnelling machines with a greater diameter than usual, in order to ensure that the station platforms fit within the tunnel itself. The trains of this Line 9 will be driverless and automated. Balancing the flows of the Metro network to the central section, creating new interchanges. Taking the Metro to strategic areas such as the Airport, Zona Franca, Fira de Barcelona, and others. 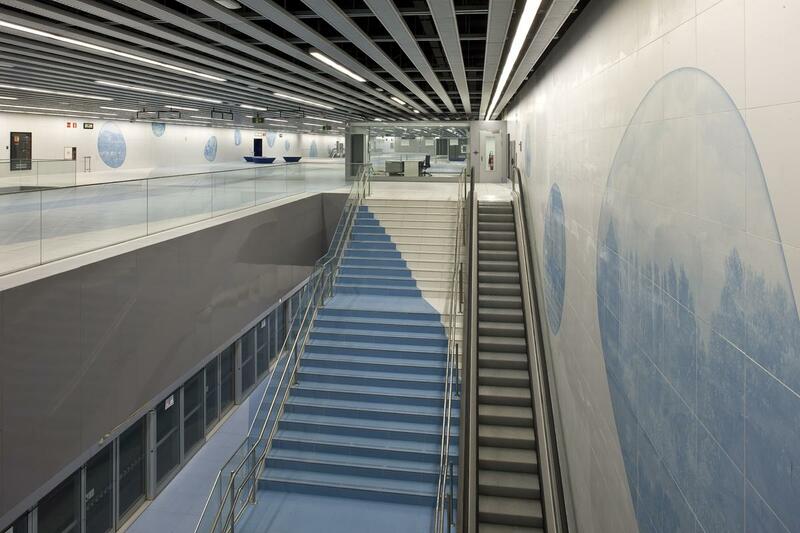 Line 9 of the Metro of Barcelona, with a length of 47.8 kilometres, 52 stations and an overall investment of 5,942 million euros, is the most emblematic project of Ifercat. It will be the longest driverless automated Metro line in Europe. Its configuration in a paraboloid shape that connects the Llobregat and the Besòs river areas will break with the radial Metro network model of the Metropolitan Area of Barcelona. The line will have a total of twenty stations with connections with other Metro, train and tram lines, which will facilitate the mobility of users and increase intermodality and the efficiency of the metropolitan public transport network. The route of Line 9 will include a central section and two forked branch lines at each end that will form a figure of two letter Ys linked at the base. On this infrastructure, two metro services have been defined: Can Zam – Aeroport and Gorg – Zona Franca. Thus, the stations situated in the shared section (Bon Pastor – Gornal) will have services whose frequency is double that of the end forked branches. Currently, of the 47.8 kilometres of the length of the line, only 4.27 kilometres of tunnel perforation are still needed to reach completion. As for stations, twelve are already in service and fifteen are at the testing phase, while the twenty-five remaining stations are at different stages of progress. In the year 2009, on 13 December, the Can Zam – Can Peixauet section was inaugurated. In 2010 the Gorg – Bon Pastor section (of the so-called L10) and Can Peixauet – Bon Pastor, were inaugurated on 18 April, and the stations of La Sagrera and Onze de Setembre, on 26 June. And on 19 December 2011, the station of Santa Rosa was inaugurated. From 2011 to 2014 the construction of this work was delayed, but with the plan to bring 15 stations into service between Zona Universitària and Aeroport T1 in the first quarter of 2016. Other sections would remain for later phases: the section from Zona Franca to Gornal and i, subsequently, the central section.